The festival organizers selected six digital health start-ups from around the globe to present in front of officials, professors, and honored guests and over 40 media outlets. Earlier in the day, Bioinformatix' Chief Marketing Officer, Ed Cummings, also participated in a panel discussion. Other presenters included venture capitalists and technology industry veterans. 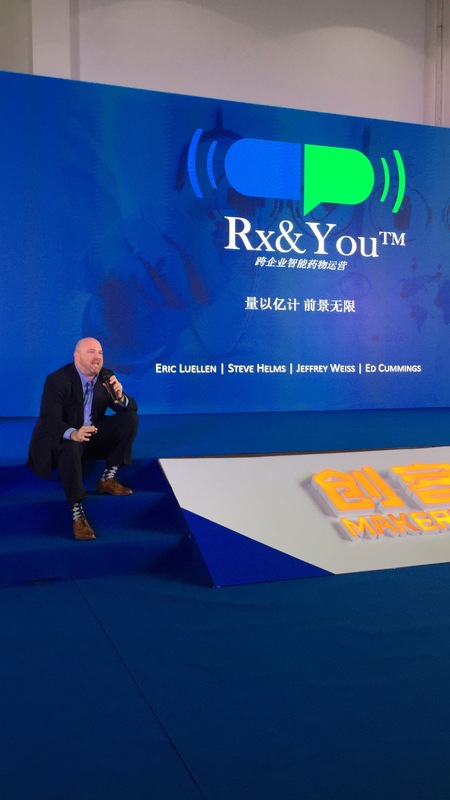 The keynote presentations were delivered by Kurt Hoppe, the Global Head of Innovation for Connected Cars at General Motors, and 94-year old Chinese toy tycoon Lam Leung-tim who was credited with inventing the yellow rubber duck, G.I. Joe, and Transformers. Bioinformatix focuses on enterprise intelligence and predictive analytics by applying artificial intelligence to detect, prevent, and address biomedical problems in real time. Copyright 2019. Bioinformatix LLC. All Rights Reserved. Patent Pending.